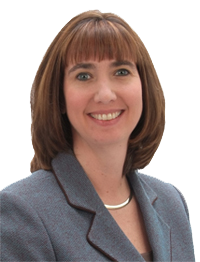 Catherine Boerner, JD, CHC is the President of Boerner Consulting, LLC (“BC”). Catherine has been supporting Compliance Officers, Privacy Officers and Security Officers since 1997. She specializes in development, review, revisions, training, and auditing and monitoring of compliance programs including acting as interim Compliance Officer and Privacy Officer roles. Catherine was elected and served on the national Health Care Compliance Association (HCCA) Board of Directors for a three year term (2010-2013). She is the past-President of HIPAA Collaborative of Wisconsin (HIPAA COW) (2005-2007) and has served on the Board since 2003. In 2006 and again in 2008, Catherine helped revise the Hospital Payment Monitoring Program (HPMP) Compliance Workbook for the Quality Improvement Organization (QIO) community and 4000+ acute-care PPS hospitals. This workbook focuses on compliance issues related to inpatient hospital prospective payment system (PPS) payment error monitoring and prevention. In addition to working with hospitals, academic medical centers, nursing homes and business associates, she has also worked with large health plans on reviewing and revising their compliance programs including assessing their compliance with HIPAA Privacy and Security. Her successful work with clients, in part, is attributed to her wealth of information on effective, practical implementation strategies. Catherine is a frequent national speaker whose presentations include Auditing and Monitoring (including PEPPER reports), Compliance Risk Assessments, HITECH HIPAA Privacy & Security, Practical Approach to the OIG Work Plan and Compliance Program Effectiveness. She contributes bi-monthly articles to the Journal of Health Care Compliance (JHCC) and has served on the editorial board for the publication since 1999. Catherine has also been published in Compliance Today, CCH’s Law, Explanation and Analysis of Patient Protection and Affordable Care Act, CCH Healthcare Compliance Letter, Healthcare Business & Legal Strategies Perspective and the Preventive Law Reporter. Catherine Wakefield, VP Corp Compliance Internal Audit at MultiCare Health System.